In October 1968, the transcript of a conversation between filmmakers Shirley Clarke and Storm de Hirsch was published in the 46th issue of Film Culture magazine. Excerpts from that conversation are below. At the time, Clarke and de Hirsch were totally unique in their respective careers. 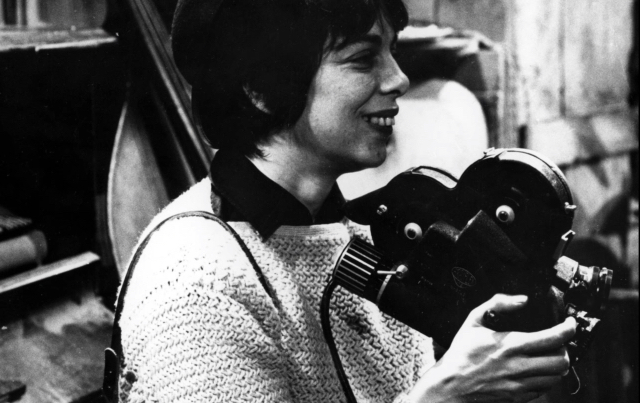 While there were certainly many women filmmakers active in the New American Cinema movement of the late ’60s, only these two had directed feature films. Clarke had directed three: The Connection, The Cool World and Portrait of Jason; and de Hirsch just one: Goodbye in the Mirror. Therefore, most of the conversation in Film Culture revolved around the ideas of women making feature films — from differences in “masculine” and “feminine” storytelling to the future of women working in the industry, either independently like themselves or within the Hollywood system. Both women have very different opinions on the subject. De Hirsch frequently states that she sees no distinction between art made by men versus women, while Clarke says there probably are differences that are still to be revealed once the history of full film is looked upon. Interestingly, Clarke appears to be optimistic about the future of women working as directors in the film industry, even though in 1968 she had only had bad experiences trying to break into the mainstream film industry. For example, after she made The Cool World in 1963, she had an infamous job interview with Roger Corman that did not result in her working for the legendary B-moviemaker. 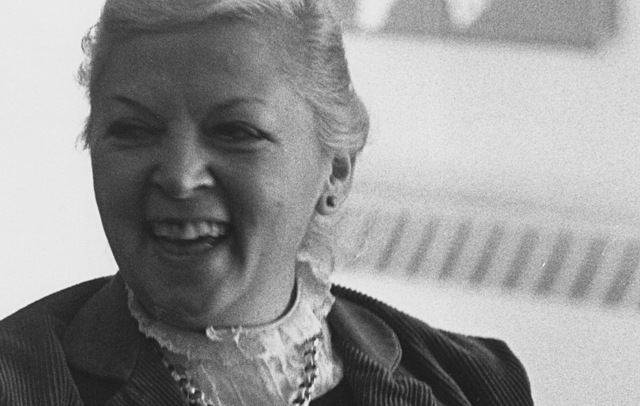 Both women struggled with distribution for their feature films in the ’60s, but Clarke’s work has taken on a greater significance in the last few years. For example, you can watch The Connection streaming online. De Hirsch never made another feature film, but Goodbye in the Mirror is currently available for rent through the Film-makers’ Cooperative. It is unfortunate that neither woman is still alive to give their modern takes on women in the film industry, but at least we have this historic conversation to look back on. These excerpts represent an extremely small portion of the full transcript that ran for 10 pages. SHIRLEY: Do you think that lady film-makers are mechanically equipped to handle their field? STORM: Well, if they’re not, they have other compensations […] The film has to be done in a certain way with Hollywood as the symbol and women were certainly never approached as directors. SHIRLEY: Now there’s no doubt that as an industry, [Hollywood’s] reaction to women would be very similar, let’s say, to the advertising industry or the automobile industry or anything where a woman sits and has a certain slot. It’s a preconceived idea and they fulfill it and they allow them to be editors, which has always struck me as very strange, because anyone who knows anything about film knows that the very thing a film is going to say can be changed in the editing. […] And they will give that responsibility to a woman and yet would not allow her, supposedly, what they would consider the highest responsibility as producer-director. STORM: It’s a young field where not too many in terms of women enter that field, like they have the other arts, but still I don’t see any reason why it couldn’t have happened sooner except that there were these taboos. STORM: I think that society was involved also in the act of film-making. It was very unseemly for a woman to enter into a field of this kind. SHIRLEY: But why, because it never seemed unseemly to be a poetess or a painter and yet it was unseemly. STORM: These are the definitions that are laid down by society. SHIRLEY: It never occurred to me that I worked in a masculine field because of how I got in, in that I was a dancer and started making dance films on a very personal basis. It never occurred to me that masculinity and femininity and being in a field called film-making was not what I thought I was doing. […] In your case it’s true also. STORM: To me, making poems and making films are one, and neither activity excludes the other. SHIRLEY: Unfortunately, the cost of making films even now is still too high in reference to the immediate return on the investment; which means that you must have enough money to wait five years — you can make a film and then sit around for five years waiting to get your money back to make the next […] An artist can’t grow that way. SHIRLEY: One of the things that people have said to me is how come — how did you ever get to make films? I said, you know, there are several possibilities. One, you could be independently wealthy. Secondly, you could be married to someone who is wealthy. Thirdly, you could find a way to scrounge. And then beg, borrow, and steal. […] How does anybody function in a field that really isn’t going to be lucrative and where your motivation – the thing that starts you — isn’t to make money but merely to maintain it. STORM: Here we are, two “quote-unquote” lady film-makers. We’re talking, I assume, objectively — like any film-maker. I mean, what is the distinction here? We both operate differently. We have a different approach to our work. We have different concepts or goals, what we want to attain visually. STORM: I think both The Connection and The Cool World are very powerful films and they have a sense of violence and they have a large sense of strength which, if one didn’t know, they would unquestionably be identified by most people as the work of a man. SHIRLEY: And yet to me, it’s an endless give-away in both those films and in the one I’m just doing, that is, what I would consider a feminine way of looking at something […] violence personally, to me, is extremely repugnant. It’s something I’m terribly afraid of. And yet, I’m obviously very attracted to it. SHIRLEY: Up to this point the only person so far who’s done a real woman’s film has been your Goodbye in the Mirror. In other words, for some reason, even so far, women film-makers have yet to deal with the subject of women. […] I’m jealous that you have been able to do it because I wish I had been able to do it. SHIRLEY: Are you saying that you don’t think that there is any particular difference between a man’s film and a woman’s film? STORM: No, I don’t. I consider both to be artists and that they primarily are artists first and male or female afterwards. SHIRLEY: Because my own feeling is that there is a difference that hasn’t yet been revealed. STORM: You do feel that the time will come when there will not be the labeling? SHIRLEY: Yes. I don’t think there will be labeling. I don’t think anybody’s going to be concerned. SHIRLEY: I’ve no idea what most men film-makers look like from reading reviews. […] Yet I can tell you what every woman who’s making films looks like — size, shape, her coloring. They are described that way.